2 Stainless Steel demagnetised and degreased bearings, 683 open (no shields). Packed in a Mail Lite padded envelope, with 1st class UK and Worldwide airmail included. 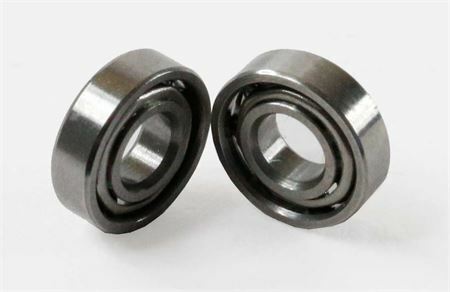 These bearings are compatible with all current and earlier KS90 KS90R, KS90S & KS90T aluminium, stainless steel and acrylic engines, and the KT09 & KT09T engines.